Recent alternative energy news involving Russia and China has revealed that the series of gas talks that have been ongoing between these two countries for the past decade are finally wrapping up. The primary issue standing in the way of the deal was the price of gas supplies. Gazprom, the top producer of natural gas in Russia, is among the topics being discussed in the talks taking place between Moscow and Beijing. Gazprom plans to begin supplying 38 billion cubic meters of gas every year to China in 2018. According to the Russian deputy premier, Arkady Dvorkovich, the two nations also have a shared interest in oil and coal. Dvorkovich has said that while gas talks are working toward completion both countries are also interested in improving cooperation in coal and power supplies and in oil and oil products. 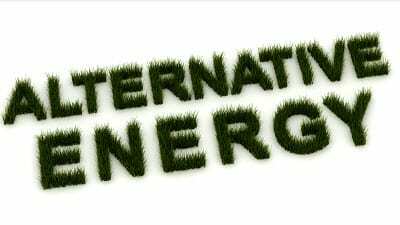 Crimea has become part of China alternative energy news. China is also showing interest in alternative energy projects taking place on the Black Sea peninsula in the Republic of Crimea, which was recently annexed by Russia in March from Ukraine. The Asian powerhouse has shown particular interest in those projects located on Crimea’s Black Sea peninsula. According to Dvorkovich, China is not only interested in projects, but is also in Crimean development. “The Chinese colleagues who are involved in alternative energy projects, are looking with interest at participating in similar projects in the Crimean republic,” states a quote from the Russian deputy premier. Over the past several years, China has been investigating renewable and alternative energy sources and has placed a particularly strong focus on renewable energy technology and investments. Now, with their sights set on Crimea, they are likely to make even more alternative energy news.